This Store is a new service created with the purpose of providing the most common products bought by customers worldwide in DGC, at the best price as possible. Due to shipping fees and zonification by our main shipping companies, Express Mail Services do not cover all the world. To use the service , you just need to click in the zone and buy directly here and paying with pay pal. In Some Countries where the destination is too far away from the main city hubs, shipping can be denied, changed into other service provider or customer must pay extra fees in advanced for the package to be delivered. Dragon Group China will use the best service for the destination at convenience and according to our policies to guarantee delivery of the product in the next 3 business weeks. We do not have our own shipping company, we do not have personal or crew in the airports or staff in customs of your country. That is why the time of transit and the handling of the product after leave our office is out of our control. We pack the best, we ship with insurance protecting the external damage, but many times the vibration and movement can disrupt a product functionability inside, usually products are made to be shipped in Containers that are treat carefully, not in airplanes one by one. But that is why we have our customer support, to help you with any inconvenience, please be patient in transit time delays due to the people handling the package or customs authorities in China or your Country. If you buy in a wrong zone, you are refunded and the business is canceled with no more considerations, we do not accept customer " mistakes with no intention", we know always the intentions, each zone is clearly informed and we do not like to play games. This is serious and you need to follow the zone rules. 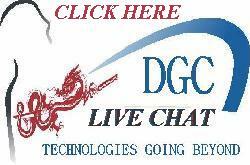 Warranty includes any malfunction during certain period of time or defective on arrival, for any technical support write to support#dragongroupchina.com( Change # for @ ). ONLY WHEN YOU BUY FROM US, IF YOU DO NOT BUY FROM US, IS NOT FOR US TO HELP YOU BUT TO YOUR SELLER.